It's an endless debate. Is buying a new car better than leasing one? The answer is that it all depends on you and what you're looking for. Mike Shaw Subaru wants to make this decision an easy one, so we're here to give you some information about the benefits of each method. Choosing between leasing and buying doesn't have to be stressful, we'll help you find the perfect new Subaru no matter what you decide! Read through this page to gather more information about the differences between leasing and buying so you can make the best decision for you, then browse our new Subaru models to start finding the perfect vehicle. Buying vs Leasing: What About Cost? Some of the most common lease versus purchase questions are about cost. Is one more expensive than the other? Financing a vehicle usually comes with a higher total cost, but you'll eventually own your Subaru outright. You may need to pay startup costs including a down payment, government or lender charges, a security deposit, prior vehicle loan balances, or taxes, and your monthly payments are usually higher as they are based off the entire value of the car. Leasing generally has a lower total cost, but you will continually have monthly payments until you decide to purchase a vehicle and pay it off. You may also pay up front costs depending on government or lessor charges, a security deposit, or a prior credit balance, but your monthly payments are generally lower as they're based only off the depreciation of the vehicle, not full cost. Buying vs Leasing: What About Lifestyle Benefits? There are great benefits to both buying and leasing a Subaru. 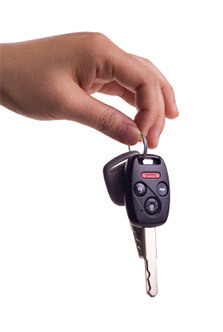 One of the most obvious benefits of leasing is that you can upgrade to the newest vehicles with the most updated features more frequently, but the most obvious benefit to purchasing is that you'll eventually own the car entirely and be able to enjoy extra cash each month when you no longer have payments. Wear and mileage are always important considerations, too. When you lease, you have a certain amount of miles you're allowed to drive, and you may be charged for excessive wear to the vehicle. When financing, you can drive across the country as much as you want, but keep in mind that excessive wear and mileage reduces the value of your vehicle. If you're debating leasing or financing, consider the benefits for your lifestyle. If you like the idea of upgrading to the newest cars frequently, want lower monthly payments, and are okay with always having a car payment, leasing is a great option. If you want the options that come with owning your vehicle yourself and want to eventually have the freedom of no car payments, financing may be for you. Everything we do here at Mike Shaw Subaru is for the benefit of our customers. It's why we offer such a large selection of new Subaru models, why we strive to have many certified pre-owned models as well, and why we happily offer many reliable used vehicles too. We also love saving you money, so we offer frequently updated new car specials and have one of the best finance teams available to work with nearly any budget. To help you find the perfect Subaru, we offer helpful research tools like model pages and comparisons, and we make scheduling test drives easy and convenient. If you have any questions, please always feel free to call us at (888) 472-4482. Our dealership is conveniently located just north of Denver, CO at 1650 W 104th Avenue, Thornton, CO 80234 and we can't wait to serve you here at Mike Shaw Subaru.